Here is a map demonstrates territory of Ukraine. detailed map of Kosmach и OziExplorer calibration presented. free map of Verkhovyna 1 cm to 1 km for Garmin. interesting map of Vorokhta with gps calibration for you. detailed map of Rechka with gps calibration for Garmin. actual map of Sheshory calibrated presented. free map of Verkhniy Yasenov calibrated free download. interesting map of Krivopol'ye calibrated this. interesting map of Bystrets calibrated for Garmin. 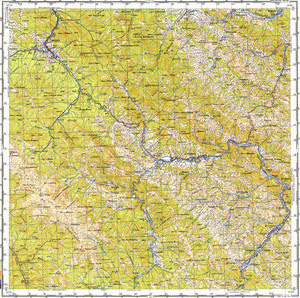 topographic map of Staische download for free. free map of Dzembronya calibrated here. map of Zelena displayed. map of Zamagorov presented. map of Yavoriv with gps calibration free download. actual map of Yavirnyk calibrated displayed. interesting map of Yablunytsya 1 cm to 1 km free download. interesting map of Vygoda 1 cm to 1 km presented. map of Vipche here.